DELEUM forming bolinger band squeeze. 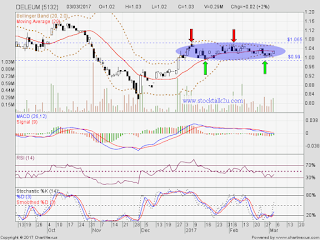 Immediate resistance @ RM1.065 level. Subsequent resistance @ RM1.16 level.